1. What is the OTA? The OTA is an instrumentality of the State created by the state legislature, by statute in 1947 for the purpose of constructing, operating and maintaining the Turner Turnpike. In 1954, the original purpose was statutorily redefined to allow construction of additional turnpikes, and changes were made in the Authority’s membership to include a representative from each of Oklahoma’s congressional districts. The OTA’s governing body (the Authority) consists of the Governor (ex-officio) and six members, appointed by the Governor and approved by the State Senate, serving an eight-year uncompensated term. 2. Why do we need turnpikes in Oklahoma? Turnpikes provide a way to finance, build and use roads now and pay for them as we use them. The construction of turnpikes provides infrastructure and economic development that might not be possible otherwise. The Oklahoma Department of Transportation (ODOT) at the time did not have the available funds to construct and maintain such roads. In the past fifty years, ODOT has constructed only 162 miles of partial control, limited access interstate type roads, excluding the federally funded interstate system. In that same time, the OTA has been able to construct 606 miles of rural and urban high performance, limited access highways with greater safety and convenience for the Oklahoma road user. If tolls were removed from current roads, an additional $105 million annually would be needed for ODOT to complete the routine maintenance and capital rehabilitation currently performed on the Turnpike System. In addition, the state would have to fund nearly $20 million annually for the Oklahoma Highway Patrol currently patrolling the turnpikes. 3. Does the OTA receive any federal or state funds to operate and maintain the turnpike system? 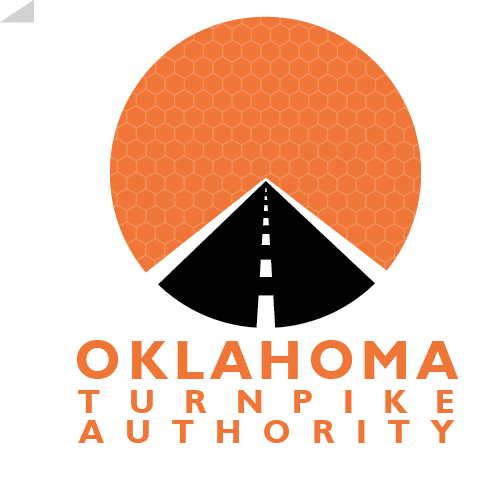 The OTA receives no tax money to operate its turnpikes. Revenues from tolls, investments, and concession leases pay all operating and maintenance costs for the turnpikes and pay off the bonds issued to finance their construction. In 1992, legislation was enacted which made available additional motor fuel excise taxes, if necessary, for payment of debt service requirements on the Authority’s bonds. Each month, if motor fuel excise taxes apportioned to the Authority are not necessary to meet debt requirements, these motor fuel excise taxes are paid to the Oklahoma Department of Transportation. Since that legislation was put in place in July 1992, the Authority has received and immediately remitted 100 percent of those receipts to the Department of Transportation. Today, those transferred funds are estimated at $47 million dollars per year and have amounted to more than $900 million since 1992. 4. When was the first turnpike built? The Turner Turnpike was authorized in 1947 and opened to traffic in 1953. 5. How many turnpikes are on the turnpike system? There are 10 turnpikes in Oklahoma covering 606 miles. Turner Turnpike, 86.0 miles in length, connecting Oklahoma City with Tulsa. Will Rogers Turnpike, 88.5 miles in length, extends from Tulsa to the Oklahoma-Missouri state line. H.E. Bailey Turnpike, 86.4 miles in length on main route, extending from Oklahoma City just north of the Texas state line, and 8.2 miles on a spur connecting the main route to S.H.9. Indian Nation Turnpike, 105.2 miles in length, connects Henryetta at I-40 to U.S. 70 near Hugo. Muskogee Turnpike, 53.1 miles in length, connecting Webbers Falls at I-40 with Tulsa. Cimarron Turnpike, 59 miles in length on main route, extending from I-35/ U.S. 64 east of Enid to Tulsa, and 8.5 miles on a spur connecting the main route with Stillwater and Oklahoma State University. John Kilpatrick Turnpike, 25.3 miles in length, extending from the Oklahoma City interchange of the Turner Turnpike and I-35 to I-40 between Mustang and Sara Road. Cherokee Turnpike, 32.8 miles in length, extends eastward from U.S. 412 at Locust Grove to U.S. 412 west of West Siloam Springs. Creek Turnpike, 33.2 miles in length, connecting the Turner Turnpike to the Will Rogers Turnpike. Chickasaw Turnpike, 17.1 miles in length, extends southward from S.H. 3 near Ada to S.H. 7 immediately west of Sulphur. 6. Why is the Turner Turnpike not free? The people of Oklahoma voted in 1954 to “cross-pledge” the turnpike system. By this action they voted to commit the tolls collected on all turnpikes to pay the debt service, maintenance and expansion for the turnpike system, not each individual road."